People often assume Africa is a “fear-power” culture. The animistic and magical practices of African Traditional Religions (ATRs) reflect the values of fear-power. Although Africa ranks higher in the fear-power category than other regions of the world according to The Culture Test results, it is nevertheless reflects many aspects of honor-shame cultures. So then why do people may commonly overlook the aspects of honor and shame in animistic cultures, such as Africa? Here are 4 factors I have observed. The cultural manifestations of a fear-power world are visibly evident. The tassels around children’s wastes, the ceremonial dancing with ornate masks, the animal sacrifices, and other practices intended to control the spiritual world are obvious and noticeable. But the nuances of honor and shame are harder to see. Cultural outsiders may need years before discerning the social meaning behind greetings, gifts, meals, and other customs designed to communicate honor. Animistic behavior is more immediately visibly than the interpersonal strategies people use to manage social status, especially for cultural outsiders. Fear culture is easier to see than shame culture. The Western category of “religion” creates confusion. When Westerners analyze people of other cultures, they often define people by a particular religion. Africans in turn become defined by their religious heritage of ATRs. Since ATRs are not a monotheistic, high religion, people conclude Africa is “fear-power.” The converse mistakes happens regarding Muslims—people assume Muslims are monotheistic, and thus not swayed by fear-power dynamics. Both assumptions are incorrect. Westerners often (mis)define a people by their religion, and this causes reductionist misconceptions. People who follow tribal and traditional religions are usually collectivistic, making honor-shame a powerful force in everyday life. Traditional religion does not automatically mean fear-power is the dominant cultural force, even if that is the primarily religious label that gets affixed. Missions history influences our current perspectives. Mission pamphlets and books from in the past describes African as “heathens” and “pagans.” African spiritual life was painted in the darkest of colors in Western literature. The pagan’s pitiable state became the motive for mission activity. Fortunately, Christians today describe African culture in more nuanced and equitable terms. Nevertheless, the longstanding association of Africa with paganism or animism fosters the “fear-power” assumptions. Western misunderstanding about African ancestors also explains part of the misclassification. The Western worldview makes a strong distinction between the living and the dead. They are two separate and unrelated dimensions of reality. For example, an English euphemism for death is “he is no longer with us.” The African worldview is different. Deceased people are considered “living-dead” who remain involved in earthly affairs. For this reason a respectful relationship must be maintained with the dead. In animistic contexts, ancestor veneration involves paying respect to family members and maintaining strong family ties—signs of “honor-shame” values. Spiritual power and social honor are very intertwined in the African worldview. But Westerners interpret interactions with ancestors as sorcery or magic (fear-power), but those interactions may also honor and reciprocate (shame-honor). These four realities explain why people might overlook the honor-shame aspects of animistic cultures. My point is not “Africa is an honor-shame culture,” but simply, “African culture has definite honor-shame features.” As a result, Christian ministry in animistic contexts must account the realities of honor and shame. Andrew Mbuvi, “African Theology from the Perspective of Honor and Shame,” in The Urban Face of Mission: Ministering the Gospel in a Diverse and Changing World, ed. Harvie M Conn, Manuel Ortiz, and Susan S Baker (Phillipsburg, N.J.: P & R Pub., 2002), 91. E. Mahlangu, “The Ancient Mediterranean Values of Honour and Shame as a Hermenuetical Procedure: A Social-Scientific Criticism in an African Perspective,” Verbum et Ecclesia 22, no. 1 (2001): 85–101. ‹ A Fourth Category of ‘Pain-Pleasure’? Thanks for expanding my thoughts. It seems we will be learning a lot from other cultures in our near future. 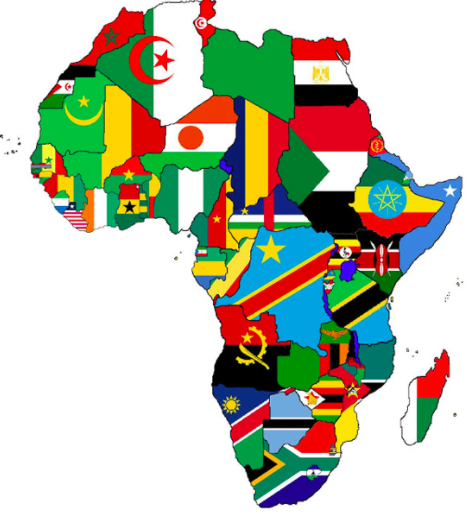 We have exercise caution when speaking of Africa as a whole, as if it were a single culture. From my experience in two West African contexts, there is a very close relationship between honor-shame and power-fear. People tend to use power and invoke fear in order to avoid shame and gain honor. As a missionary doing cultural acquistion, it is good to have the lens of honor-shame to see the nuances in the interplay of values in a particular culture. Obviously, our goal is not to categorize a given culture, but to see it in its fullness in order to communicate clearly and navigate on the levels that their value systems hold dear and are unique to them as a people. The Gospel is so wonderful, we dare not reduce its magnificience by our presentations to other cultures. I live with a Congolese Refugee and I spent some time in Kenya. I also have numerous Central and mid-East African friends. While this is the first time I’ve happened upon your site so I might have some of your honor/shame definitions wrong, I think I might have insight here to offer you. First, my roommate is from a developed yet poor and war-torn area on the border of Rwanda and Congo. There is no tribal customs or animal sacrifices happening there. What does sadden me is their almost childlike trust that the west knows best. I think it comes from their desire to have money and to not be financially desperate, desperate for their families, and desperate for their lives. They seem to think that those with money know things they don’t. I think it is also a residual mentality from colonization. I saw this same dynamic when I was in Kenya. That structure is Elitism. Elitism is alive and well in Africa. Those who are poor buy the narrative that they are not as valuable as those with money. That is shame when we believe that we are not as valuable than others. They are required to show “respect” for those with a masters or doctorate degree or those with certain titles. That is supremacy; not respect. Supremacy is where the person on the bottom can never be considered as an equal of those on the top. We see it in the U.S. with cultural norms like, “I’m the parent; you’re the child. Do as I say.” In the same way, those in authority are not questioned in the African countries that I am familiar with. They don’t question government or teachers and they do as they are told. They accept the hierarchy and the status-quo. The poor accept their place as invaluable. Many Africans would say “irresponsible” as if the poor person had a choice over their circumstances. Most of the Africans I know are trauma survivors. They are not allowed to cry or process emotion. Where does this lack of permission come from? It is from a society that places value on the White Western idea that composure is strength. Inside of them is the shame of never being good enough because they are experiencing lack of privilege and opportunity yet they internalize that as not being responsible or hard working enough even though Africans are some of the hardest working people I know. There is also a dynamic among African orphans that I want to speak on. Aunts and Uncles will take them in and they will send their nieces and nephews to school (education is free, but it costs money to buy uniforms every year), but they will treat them like indentured servants while they do that. They make slaves of young children because that is the dysfunction of the colonized mindset when trauma collides with that culture. Those who get to go to school are supposed to consider themselves grateful as opposed to those who are forced to work in mines, coffee or cocoa plantations, etc. In this, there is a deep gratitude in African cultures that I love There are words for “thanks” yet there are also words for a deep gratitude of the soul. Is it because they carry a shame that says that they must be grateful for any good thing as if they don’t deserve it? Perhaps. I do not know, but I definitely see the hierarchy and shame in African cultures and I do believe that it was not that way before colonization. The dynamic that we saw in the Rwandan genocide where the Hutu and the Tutsi people were set against each other by the propaganda of the government started with the colonizers who preferred the taller stature and muscular build of one tribe over another. The seed was planted for supremacy and on it goes, even in Africa.